The Japan Meteorological Agency (JMA) has operated a global ocean data assimilation system since 1995 to monitor El Niño and Southern Oscillation (ENSO) conditions. The system has been upgraded several times up to now (Table 1). The latest system is MOVE/MRI.COM-G2 (Multivariate Ocean Variational Estimation / Meteorological Research Institute Community Ocean Model - Global version 2), which is developed at MRI. The system consists of an objective analysis scheme (MOVE) and an ocean general circulation model (MRI.COM). The output, along with the atmospheric analysis, is also used as an initial condition of a coupled ocean-atmosphere model for ENSO prediction and seasonal forecast. Table 1 Upgrade history of JMA's global ocean data assimilation system. February 1995 "ODAS" (Kimoto et al. 1997) implemented into operation. July 2003 "ODAS" (Ishii et al. 2003) upgraded. March 2008 MOVE/MRI.COM-G (Usui et al. 2006) implemented. An ocean general circulation model (OGCM) is Meteorological Research Institute Community Ocean Model (MRI.COM; Tsujino et al. 2010), which is developed at MRI. MRI.COM is an ocean primitive equation model with σ-z hybrid vertical coordinates to allow freely elevating surfaces. The horizontal resolution is 0.5º latitude and 1.0º longitude except for the 15ºS - 15ºN band, where the latitudinal grid spacing decreases to the minimum of 0.3º between 6ºS and 6ºN (Figure 1). 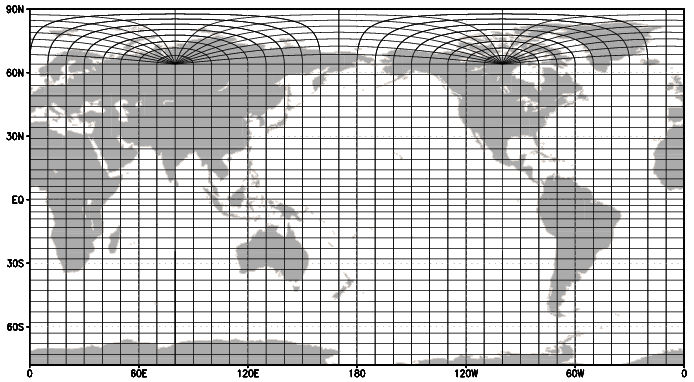 Compared to the previous system, the model domain is expanded to the global ocean including the Arctic Ocean with the use of tri-polar horizontal coordinates (Figure 1). And the model has 52 vertical levels and a bottom boundary layer, 23 of which are placed above 200 meters (Figure 2). The physical schemes in the model are improved, for instance, tracer advection scheme by conservation of second-order moments (Prather 1986) and vertical mixing of the turbulence closure scheme (Noh and Kim 1999). The newly introduced sea-ice model describes both thermodynamics and dynamics. The thermodynamical and dynamical parts are based on Mellor and Kantha (1989) and Hunke and Dukowicz (1997, 2002), respectively. The surface forcing is based on the 6-hourly data from the Japanese 55-year Re-analysis (JRA-55; Kobayashi et al., 2015). Latent and sensible heat fluxes and surface stress fields are calculated from the bulk formulas of Large and Yeager (2004). Figure 1 OGCM horizontal grids. Contour intervals are 10 grids. 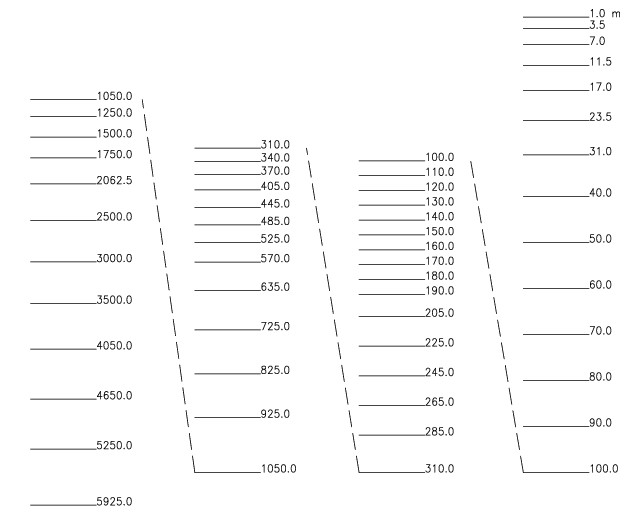 Figure 2 OGCM vertical levels indicating depth in meters. The analysis scheme adopted in Multivariate Ocean Variational Estimation system (MOVE) is a multivariate three-dimensional variational (3DVAR) analysis scheme with vertical coupled Temperature-Salinity (T-S) Empirical Orthogonal Function (EOF) modal decomposition (Fujii and Kamachi 2003). Amplitudes of the T-S EOF modes above 1,750 m are employed as control variables and the optimal temperature and salinity fields are represented by the linear combination of the EOF modes. In this system, the model domain is divided into 57 subregions and monthly vertical T-S EOF modes are calculated from the observed T-S profiles for each subregion. The 3DVAR results are inserted into the model temperature and salinity fields above 1,750 m by the incremental analysis updates (Bloom et al. 1996) with an assimilation window of 10 days. New schemes are introduced in MOVE/MRI.COM-G2, for instance, bias correction scheme (Fujii et al. 2012), first guess at appropriate time (FGAT) scheme (Lorenc and Rawlins 2005), and global water mass correction scheme (Kuragano et al. 2014). In MOVE/MRI.COM-G2, not only in-situ observations of subsurface temperature and salinity reported from ships, profiling floats and moored or drifting buoys through the GTS and other communication systems, but also sea surface temperature analysis data (COBE-SST; Ishii et al. 2005) and satellite altimeter data are assimilated into the model. Although sea ice values are simulated by the sea-ice model, sea ice data is not assimilated. The latest assimilation results are obtained once in five days, and the targeted term of the analysis is 3-7 days before the assimilation is carried out. The assimilation data for the same term are updated every five days using additional delayed-mode observation data until the term reaches 39-43 days before the final assimilation. The output of MOVE/MRI.COM-G2 is used in various forms for the monitoring of ENSO at JMA, and some products for the equatorial Pacific region are distributed in a couple of publications, namely, "Monthly Highlights on Climate System" and "El Niño Outlook". Figure 3 is one of such charts of MOVE/MRI.COM-G2, which shows the depth-longitude sections of temperature and its anomalies. The charts in the reports are also made available through the Tokyo Climate Center Web page. Figure 3 Depth-longitude cross sections of monthly mean temperature (upper) and temperature anomalies (lower) along the equator in the Pacific Ocean for January 2008 by MOVE/MRI.COM-G2. The base period for the normal is 1981-2010. Bloom, S. C., L. L. Tacks, A. M. daSilva, and D. Ledvina, 1996: Data assimilation using incremental analysis updates. Mon. Wea. Rev., 124, 1256-1271. Fujii, Y. and M. Kamachi 2003: Three-dimensional analysis of temperature and salinity in the equatorial Pacific using a variational method with vertical coupled temperature-salinity empirical orthogonal function modes. J. Geophys. Res., 108(C9), 3297, doi:10.1029/2002JC001745. Fujii, Y., M. Kamachi, S. Matsumoto, and S. Ishizaki, 2012: Barrier layer and relevant variability of the salinity field in the equatorial Pacific estimated in an ocean reanalysis experiment. Pure Appl. Geophys., 169, 579-594. Hunke, E. C, and J. K. Dukowicz, 1997: An Elastic Viscous-Plastic Model for Sea Ice Dynamics. J. Phys. Oceanogr., 94, 1849-1867. 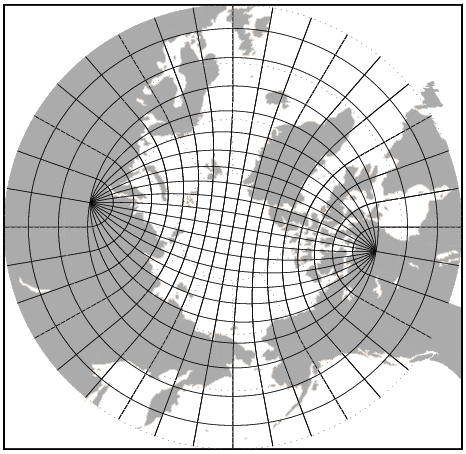 Hunke, E. C, and J. K. Dukowicz, 2002: The Elastic Viscous-Plastic Sea Ice Dynamics Model in General Orthogonal Curvilinear Coordinates on a Sphere - Incorporation of Metric Terms. Mon. Wea. Rev., 130, 1848-1865. Ishii, M, M. Kimoto, and M. Kachi, 2003: Historical Surface Temperature Analysis with Error Estimates. Mon. Wea. Rev., 131, 51-73. Ishii, M., A. Shouji, S. Sugimoto, and T. Matsumoto, 2005: Objective Analyses of Sea-Surface Temperature and Marine Meteorological Variables for the 20th Century using ICOADS and the Kobe Collection. Int. J. Climatol., 25, 865-879. Kimoto, M., I. Yoshikawa, and M. Ishii, 1997: An ocean data assimilation system for climate monitoring. J. Meteor. Soc. Japan, 75, 1-16. Kobayashi, S. et al., 2015: The JRA-55 reanalysis: General Specifications and Basic Characteristics. J. Meteor. Soc. Japan, 93. Kuragano, T., Y. Fujii, T. Toyoda, N. Usui, K. Ogawa, and M. Kamachi, 2014: Seasonal barotropic sea surface height fluctuation in relation to regional ocean mass variation. J. Oceanogr., 70, 45-62, doi: 10.1007/s10872-013-0211-7. Lorenc, A. C. and F. Rawlins, 2005: Why does 4D-Var beat 3D-Var? Q. J. R. Meteorol. Soc., 131, 3247-3257. Mellor, G. L., and L. Kantha, 1989: An Ice-Ocean Coupled Model. J. Geophys. Res., 94, 10937-10954. Noh, Y., and H.-J. Kim, 1999: Simulation of temperature and turbulence closure model for geophysical fluid problems. Rev. Geophys. Space Phys., 20, 851-875. Prather, M. J., 1986: Numerical advection by conservation of second-order moments. J. Geophys. Res., 91, 6671-6681. Tsujino, H., T. Motoi, I. Ishikawa, M. Hirabara, H. Nakano, G. Yamanaka, T. Yasuda, and H. Ishizaki, 2010: Reference manual for the Meteorological Research Institute Community Ocean Model (MRI.COM) version 3. Technical Reports of the Meteorological Research Institute, 59, 273 pp. Usui N., S. Ishizaki, Y. Fujii, H. Tsujino, T. Yasuda, and M. Kamachi, 2006: Meteorological Research Institute multivariate ocean variational estimation (MOVE) system: Some early results. Advances in Space Res., 37, 806-822. Tokyo Climate Center, Climate Prediction Division, 1-3-4 Otemachi, Chiyoda-ku, Tokyo, Japan.